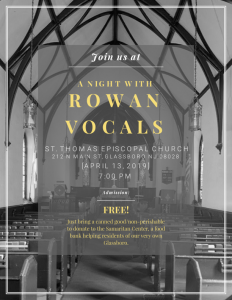 Join us on Saturday night, 13 April, at 7pm for a concert by the Rowan Vocals, an a capella group which includes Ben Burnham, our choir director. 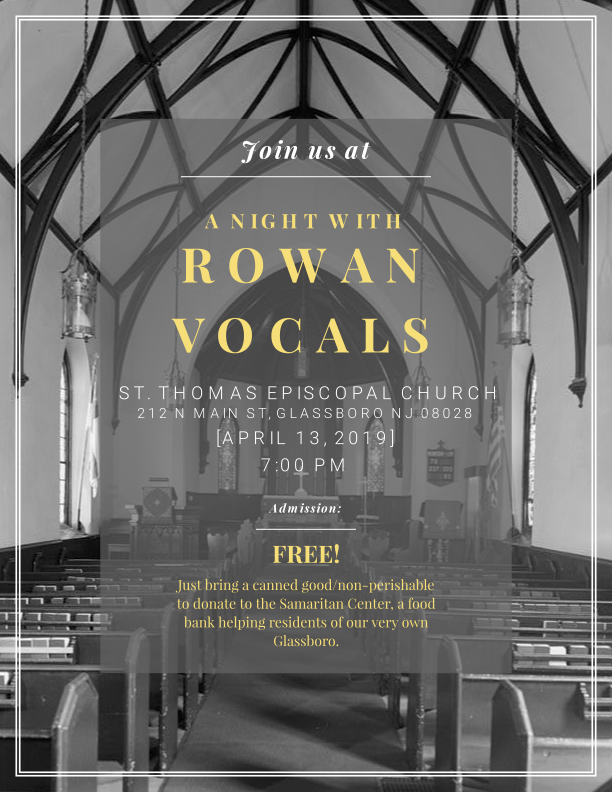 Admission is free; bring a non-perishable food item to share with the Samaritan Center. Reception follows, in true St. Thomas’ fashion!